Guthrie Kitchen and Bath Plus, LLC is a kitchen and bath design build contracting firm but we also are a full flooring store, appliances, windows and door company. We specialize in being a one stop source for all of the work required to complete your kitchen and bath remodel, flooring and window replacement project. Carpet, tile, wood floors, drywall, lighting, plumbing, wind are just some of the items we can handle for you. 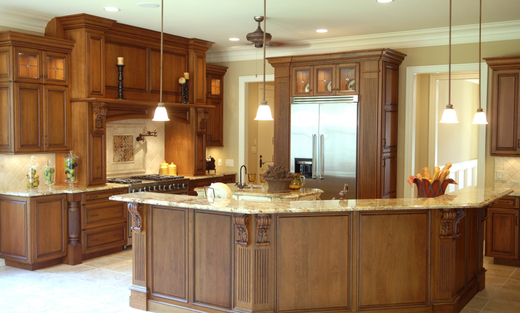 Other cabinetry areas that we can provide are bookcases, closet organization, garage organization and outdoor kitchens. We are very knowledgeable about our field, and offer competitive pricing. We take great pride in the quality of our work, and customer service is our top priority. Let us come to your home at a time that is convenient for you to discuss your entire construction project. Saturday and Sunday is open for appointments as well as nights. We are now offering PELLA windows and doors.